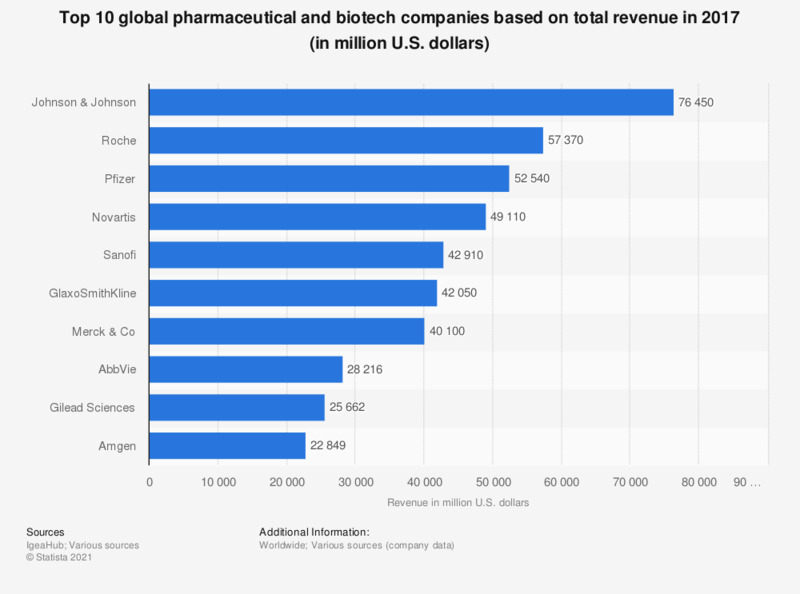 This statistic depicts the leading global pharmaceutical and biotechnology companies based on total revenue in 2017. In that year, Roche from Switzerland reported a total revenue of around 57.4 billion U.S. dollars. Thus, Roche was ranked second behind U.S.-based Johnson & Johnson. The statistic shows the total revenues of the selected companies which manufacture pharmaceutical products (among other or exclusively).